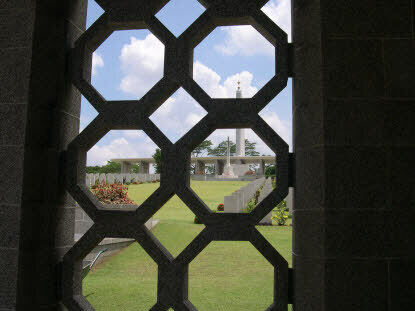 ABOVE: The view up the hill from the left-hand shelter at the cemetery entrance. Looking up the hill from the entrance. Looking uphill from the north west corner. Looking uphill from the north east corner. Graves to the east of the memorial. Indian Army graves to the south of the Singapore Memorial.